Walking is already too dangerous. About 6,000 pedestrians were killed in 2017. The Governors Highway Safety Association reported that the number of pedestrian fatalities increased 27 percent from 2007 to 2016, while at the same time, all other traffic deaths decreased by 14 percent. Clearly, the roads are not safe for pedestrians, so shouldn't we protect sidewalks as a safe place for walking? Let's start by declaring sidewalks the domain of pedestrians, with motorized devices limited to those used by people with disabilities (#sidewalks4pedestrians). At least on sidewalks, the rights of pedestrians should come before the rights of vehicle riders. 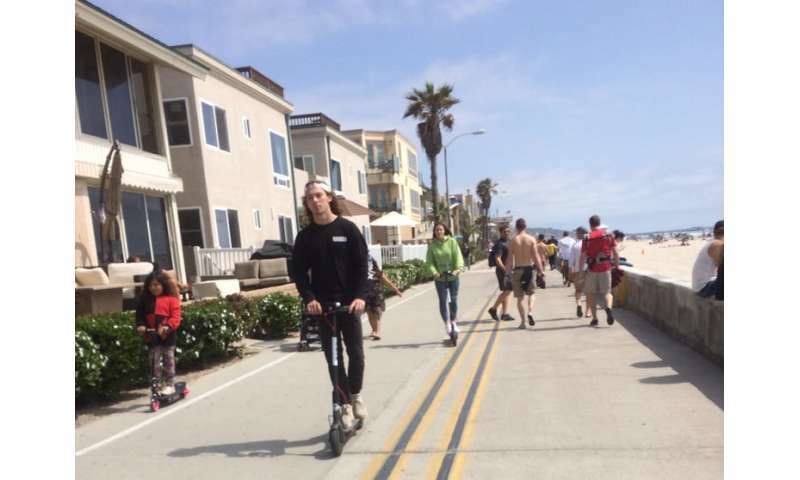 Electric rideables should be allowed wherever bicycles are legal, which are bike facilities, lanes, protected bike paths and on the streets, but not on sidewalks. But there's a problem with bikes and rideables on the streets – riding on the streets is not as safe as it could be on bicycles or rideables.